Our memory of dreaming is absolutely terrible. Perhaps it’s by design, but most likely it’s just an artifact of the terribleness of human memory in general. However, if you keep a dream journal for longer than a few months, and especially for longer than a few years, you will find that your dream life has been sending you again and again to the same places and scenarios. Each of us have unique repetitive dreams that we spend our lives immersed within, pounding the dream pavement, trying to remember who we are and what we are supposed to be doing. We are under a spell, not just in our dreams, but in waking life too. These dreams are perfect opportunities for encouraging lucidity. When you realize “Ah! This is a dream!” you can participate in your mythic landscape with greater clarity and courage. That’s when things get really interesting, because you can finally break the spell. 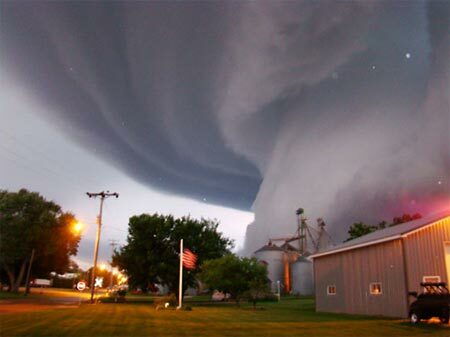 Since I was a child, I have had nightmares of tornados. I grew up in Georgia, where tornados are a regular threat during the warmer months. Once, at age 9 or 10, I actually heard a tornado as it missed our afterschool building by a few hundred feet. The sound was complex, not so much like a train as I have heard, but like a thousands dogs growling into an echo chamber while hundreds of heavy bowling balls bump up against each other underwater. It is a wild and haunting sound. Then, as we were hunched under tables (as there was no basement), one of the windows blew in shattering glass all around. That was all that happened; we were lucky. That was the day that I learned that sometimes there is nothing adults can do; we are all subject to forces larger and older than ourselves. So it’s not so surprising that I am a tornado dreamer. The dreams are never exactly the same, but always starts with the twister bearing down. When I notice it, the funnel comes closer, as if seeking me out. I try desperately to find shelter. Sometimes I naturally go lucid right before the tornado reaches me, when the sound and wind reach an epic level. I wake up, terrified and alert. 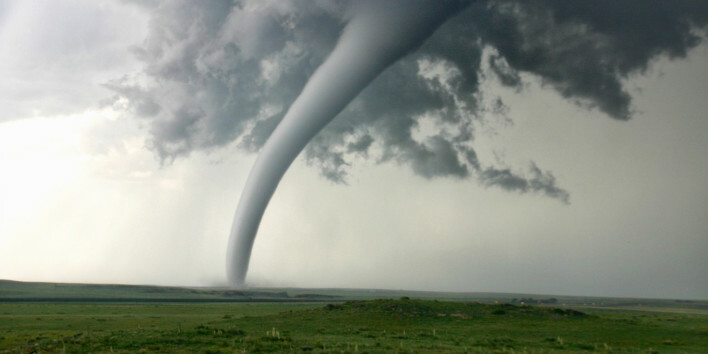 About ten years ago, I realized that my tornado dreams are perfect for doing some lucid dreamwork because they are repetitive and naturally encourage lucidity through the sheer panic of vigilance they induce. I made the intention to remember that when I next see a tornado, I’m dreaming. What followed was a series of progressively lucid dreams over the next few years. Each time facing the tornado released a tremendous amount of energy by transforming into a new form that is at first impossible to contain. The first time, the tornado became unbearably bright light, forcing me to awaken. The next time, three years later, after I faced the tornado it transformed into a herd of stampeding animals, and then, a group of marauding zombies with pasty white skin and sunken eyes. I became overwhelmed as they pawed at me, and I awoke. Notice how in both of these dreams, the tornado energy transforms into new patterns: the first time, pure light. The second time, a herd of animals, and then zombies. The energy was becoming more human, and that means I was getting closer to be able to communicate with it. Clearly, facing the tornado isn’t easy, or something that is accomplished in a single dream. At least, that’s the case for myself. It takes time to face real fears, the ones that are buried in our bones. Patiently, I waited for the next tornado dream. I’m in a house with my wife and a friend. A tornado is coming. I look out the window and see it is coming straight for us. The house lurches on impact and we all run into another room. I look out another window and see the tornado [between] a crack in the curtains. I realize it’s coming for me. I say, “I will meet you!” [ and am now fully lucid]. Immediately the tornado shifts and I see a woman’s face [within the funnel], and it transforms into a beautiful young woman in soot-colored clothes. I am shocked and delighted—I take her by the hand and invite her inside the house…. She has brown hair, long and straight, and is disheveled. “What? ?” I say. This fills me with dread and I wake up with a jolt. Perhaps the most surprising part of this dream is that, within a week, my wife and I were unexpectedly told that we had to vacate the house we were living in. “Domesta” is an Indo-European cognate for “household.” In Spanish, for example, “domestica” means housekeeper, which is a good descriptor for the tornado woman, with her simple soot-colored clothes. Of course I’m not sure if this dream was truly precognitive, or I was simply picking up on unconscious cues from our landlord at the time. That’s not the point. 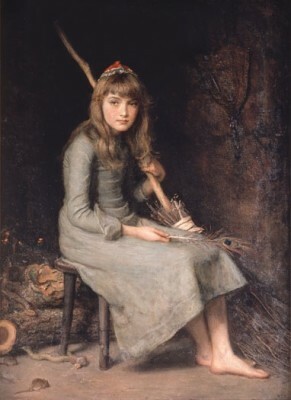 Cinderella by John Everett Millais, 1881. Rather, recall the tornado girl’s advice, “Have courage.” The dream braced me for our household to be turned upside down, and to handle the energy of unheaval with grace and grit while we made a difficult transition. The girl–with her soot covered clothing–resembles the historical Cinderella figure, who is literally “Soot covered” by name: a disrespected young woman who tends the hearth for a family concerned only for status and wealth. I have plenty of material to self-inquire how this Cinderella character is part of my personal mythology, and why her energy can be so disruptive to my own “house.” As we often ask in dreamwork circles, Why this dream now? But for my purposes today, this tornado dream series shows how it can take multiple dreams over a decade to find a way to work with disruptive energy in a way that is helpful and insightful. Tornado energy blasted me awake many times because it is powerful medicine that needs to be approached in the right way. It took patience, a solid intention, and the right mix of courage and respect to be able to communicate with the tornado. Eventually, thanks to a consistent lucid dreaming practice, I was able to stand my ground long enough for the tornado to take human form. Although in dreamwork we love to showcase quick fixes and “instant healing,” more common with nightmares are repetitive themes like this one, wrought over time, confronted again and again. Healing and self-growth is measured by how this energy is faced–hopefully with greater and greater competency as we mature. Sometimes, the immensity of an archetypal force may continue to overpower us in our dreams, but we still learn how best to prepare for and cope with unstoppable forces like this over our lifetime. In this way, lucid dreamwork is like all dream work: slow and gradual, and happening on its own mysterious schedule despite our time-keeping and foot-stomping expectations. I’ve found that sometimes this slow and natural approach to lucid dreaming can bring big transformations to those repetitive dreams that are working on us anyways. But first you have to do the work and know which dreams to target, as well as some ideas of how to behave in the dream when the moment comes to act lucidly. Other times, taking a stronger approach and inducing lucidity ritualistically can bring powerful dreams when you have a specific question that looms large. There’s no one way to do it — and in fact, it is this flexibility of method that separates soulful lucid dreamers from those who are in it for the pleasure dome. 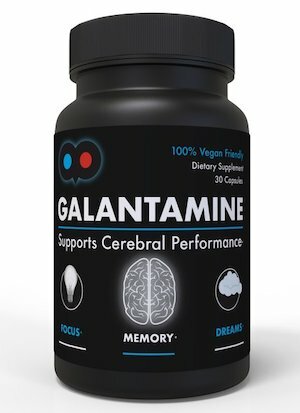 Does this approach to lucid dreaming sound compelling? 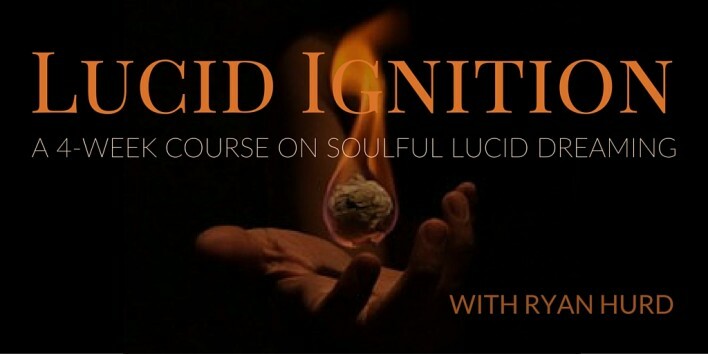 Learning how to set soul-centric intentions and be ready for repetitive dreams is one of the core skill sets I will be covering in depth in my approaching course Lucid Ignition. In this 4 week online course with LIVE instruction, we will cover the most scientifically valid ways for going lucid, as well as ways of working with lucidity in the dream that respects the mythic landscape of the imagination. 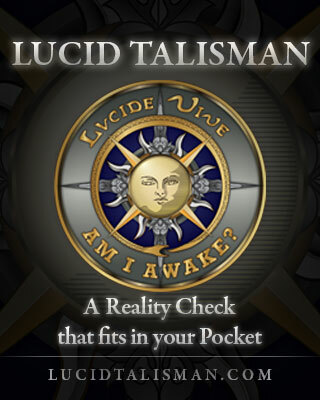 With this soulful approach to lucidity, we can become more aware not only in our dreams, but also our waking lives. Check out more about the class here, and be sure to watch the welcome video where I talk about how impactful lucid dreaming has been for my own life, including help dissolve old fears. as always a great bit of advice and on target. the fears become triggers for lucidity if you can accept and allow them to push you a little and set intent to Challenger or work with them. Waiting for the dreams to change over time is one way and the other is to change yourself in the dream or accept the change that will occur if you walk into the tornado and become part of it and communicate in a different way. I call this the “mini death” as for me death in a dream is an awakening. amazing dream Peter! sounds like a true communion. I hear you about “mini-deaths.” I’ve been “killed” in hundreds of lucid dreams, and each time it a portal to another place. it’s quite freeing to be able to surrender in that way. Ryan, awesome post, very insightful. I used to have recurring dreams about tornadoes then discovered through shamanic work that the tornadoes were not coming for me (as I’d always assumed) but for a dark energy attached to me. At least, that’s how the shamanic practitioner framed it. During an intense visualization I saw in the heart of the tornado the Eye of Providence. It sucked the dark energy off me and I haven’t had another dream about a tornado. wow RadOwl that’s intense and also profound. thanks for sharing. When I was six years old my father died. My great aunt came to our house to help my mother with the five of us. I started wetting the bed, at six years old. My aunt was concerned about me, because after a few episodes of wetting, she started sitting my bedroom I shared with my sister. One night she noticed me thrashing around, then I woke crying having wet the bed. She told me to remember that dream for the morning then she helped me get clean and dry and helped me back to bed. The next morning, I did remember the dream. When she asked me to tell her the dream. I told her I was running on the big bridge to the beach and something was chasing me. I kept running until I crossed another bridge to the island and then, ran out to the end of the pier where we went swimming and a really big guerilla was chasing me. He almost caught me, so I jumped into the water, then, I woke up and the bed was wet. My great aunt took my hand and looked me in the eye and said, ” If you have that dream again, I want you to turn around and ask that guerilla what he wants. He cannot hurt you at all. Just be brave and turn around and ask.” The next time I had the dream, was that night. I did as my great aunt said. I was all out of breath and I was almost at the end of the pier. I stopped, turned around, put my hands on my hips and yelled, “What do you want?” The ferocious, giant, guerrilla turned into a an animated guerilla with a fez on his head, a vest and pair of pantaloons and said in a cartoon voice, “It’s time to go to the bathroom. I awoke dry and made it to the bathroom just in time. That was my first encounter in lucid dreaming. The setting episodes stopped as quickly as they started. thank your Mary for telling this powerful encounter. Your aunt was very wise. I got chills reading this. Interesting, as I dream of tornadoes frequently. I do live in Kansas but never experienced one. I have gone from being terrified to rescuing children in my tornado dreams. Fascinating! Thanks for sharing!